In fact, actually, those data which they needed already have provided in a report on the (web) application, but hey,... they need raw data for further processing, for example in spreadsheet, and that's fine for them as business owners. Just go to this page, click the 'Add to Firefox' button, follow the instruction, you'll need to restart your Firefox. 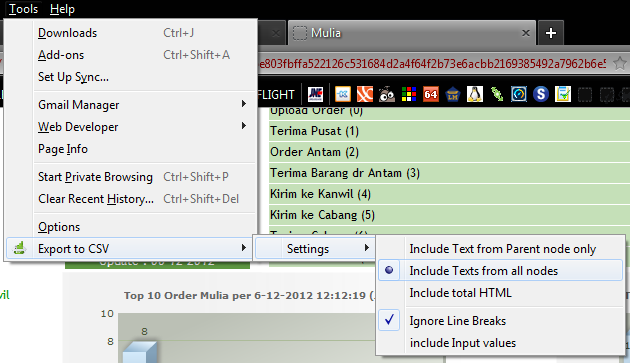 Simple, just right click on any HTML table, on the context menu choose Export Data as CSV. 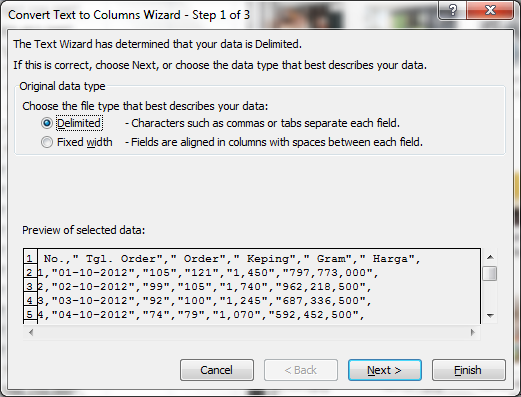 On the next dialog, select the location where you will save the CSV file. Anyway don't forget to give the extension. 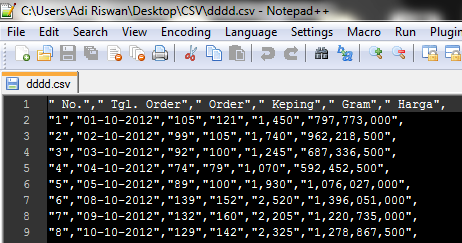 'CSV' end of the file name (I think Mr.Souvik miss about this). 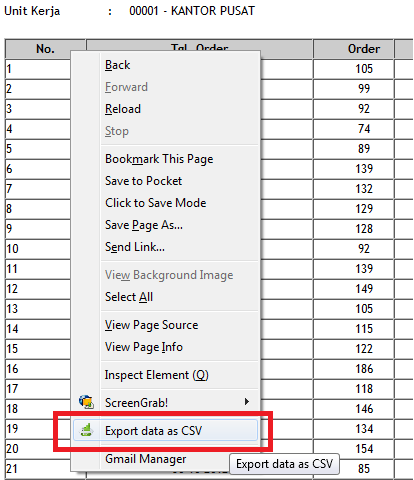 CSV stands for Comma Separated Values. 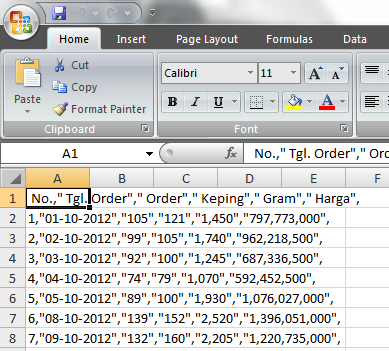 In short, CSV is actually plain text file that contains values ​​separated by commas. Simple. 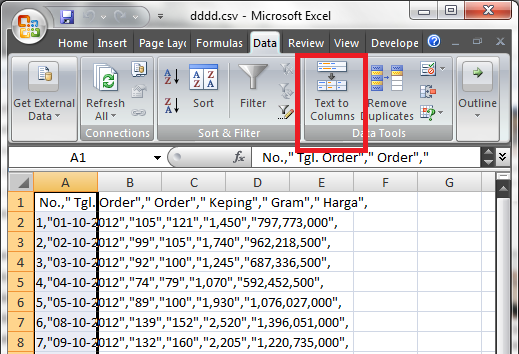 We can use the Text to Columns feature from Excel itself. Highlight the cells that are in the first column. 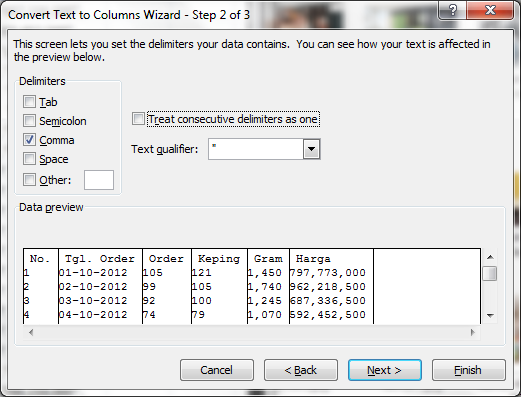 Select the Data tab, then press the Text to Columns button. In Step 1 gave tick on Delimited option, then press Next. Hoopla! Your data will be neatly separated between cells. 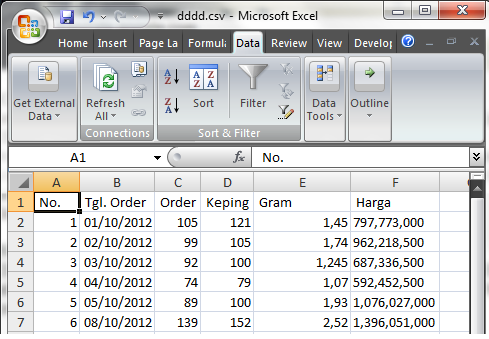 Furthermore, the data that data can be processed through spreadsheet or Save as into Excel format.